The Standard Rifle System includes the rifle applicator, the high-pressure hose, safety glasses, gloves, and training DVD. Tank and trolley not included with this option. 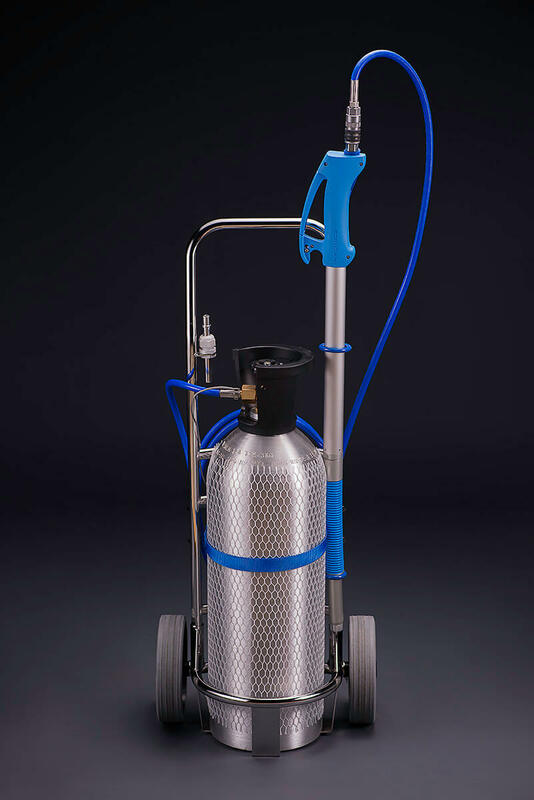 The Rifle Applicator System includes the rifle applicator, high-pressure hose, trolley for carrying a siphon tube CO2 tank, safety glasses, gloves, and training DVD. Tank not included. The Telescoping Lance System includes the lance applicator, high-pressure hose, trolley for carrying a siphon tube CO2 tank, safety glasses, gloves, and training DVD. The lance applicator has a telescoping feature, making it useful for hard to reach places in stored product and production facilities. Tank not included.